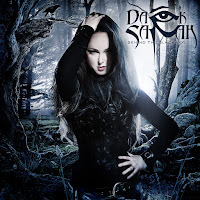 Former Amberian Dawn singer Heidi Parviainen has now adopted the name of Dark Sarah for her latest project. It’s a combination of finely orchestrated music with metallic leanings and operatic singing. Who said Nightwish? Actually this doesn’t like Nightwish that much, I’d say Dark Sarah is closer to Tarja’s solo material. I tried, I appreciated certain aspects of this, but didn’t get it. Fans of Tarja Turunen, Nightwish and Within Temptation should check this out anyway.